"Taj Mahal was built by a grief stricken Emperor Shah Jahan as a memorial to his beloved wife Mumtaz Mahal." 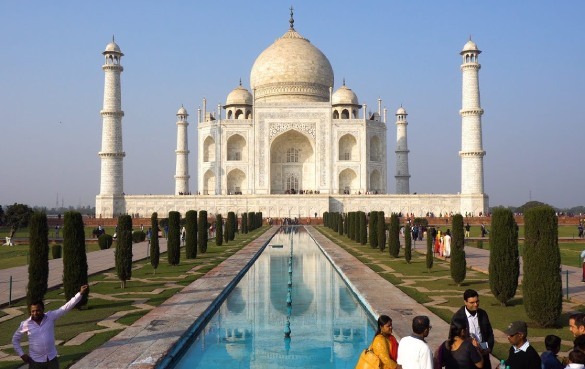 A world-renowned wonder, Taj Mahal sits pretty on the northern side of this green paradise. It looks the same from all the four sides. The Quranic inscriptions on its four entrances are carved in such subtle increase in size that may appear to be of the same size from top to bottom. Shahjahan invited master craftsmen from as far as Italy and Persia to help design his ambitious tribute to love.